Recently Ruslan Synytsky, Jelastic CEO, visited WHD.usa and presented a session about Virtual Private Cloud for DevOps, with a market overview for ‪hosting providers and new trends in ‪‎cloud hosting. Below is a transcribed short version of the presentation and the full video of the session. Today I will talk about new opportunities for hosting companies to attract enterprise customers, specifically enterprise kind of customers. I believe you have all heard about containers and Docker hype and I would like to explain how hosting providers can make money on this DevOps trend. First of all – waves. Waves are in our life everywhere and your business is like a wave, sometimes it’s surging higher and sometimes it’s receding. We need to think about the future – how to catch the wave. We were smart in 2011 and started to use containers at that time and our partners are already riding this wave, as they know this area very well. And today I would like to speak about the next big thing, that is coming to the hosting industry. Jelastic is a complex solution. It provides Public, Private and Hybrid clouds. We are working with hosting service providers, systems integrators and enterprise DevOps teams. Our Ecosystem today is not really big, we have about 30 Public cloud hosting service providers and about 10 Private cloud customers, because we are still a start up. But we are about 4 years in the market, so we know this area very well. This is high-level overview of our solution. It can be installed on top of bare metal hardware, on top of any public cloud infrastructure. So we support containers: Virtuozzo containers, Docker® containers and Rocket containers as well. And on top we have Jelastic smart management with three panels: one panel for Dev guys, one panel for Ops guys and one panel for small and medium businesses. DevOps is a new approach to develop software. It helps to speed up time-to-market, to automate the Pipeline and reduce the number of fails on production. So, actually, it helps companies to save money. Below is the main picture in DevOps. It is the Pipeline of the application delivery to production. As you can see, an application or template can be stored in some registry or hub registry. Dev guys pull it to a Dev environment, and after that they move it to a test environment, then to a stage environment, and after that to production. So automation of this Pipeline is very important, because it’s not really easy to build an automated Pipeline. Why did Docker® become so popular? Because they changed the degree of containers. They introduced containers for developers. In the past it was used by hosting service providers, by many of them, but it was not very popular. Today enterprises are looking for solutions with containers. Why is this important? Because it provides much better flexibility, higher density, elasticity and portability. So it’s easy to migrate an application from one cloud to another. Containers is not a new technology. This is like an evolution path. And it’s not finished yet. Smart containers are coming. Anyway Container Orchestration is a challenge – it’s not easy to build smart container orchestration. And if you try to do it yourself, I believe you’ll spend a lot of time and efforts. And you need to know what kind of solution it is better to use not to make a mess out of this. And today we see on the market several solutions: Tutum, it is the start up, but they do a really good job on container orchestration, Amazon, Google, IBM and Azure already offer container services, as well as CoreOS who recently introduced Tectonics. You can see, all big players implemented containers into their platforms. 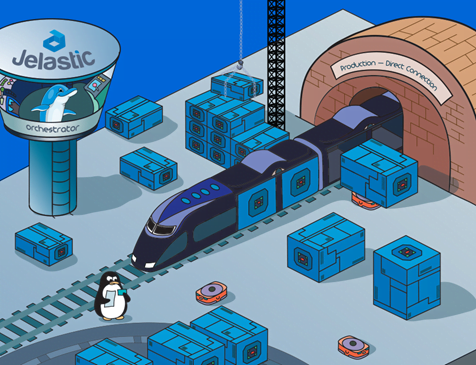 And containers in Jelastic have been in use since 2011. We use the Virtuozzo containers which is a really good solution and much more secure than LXC containers, default Docker® containers. Jelastic provides production-ready orchestration, it was polished over 4 years, it’s automated. And many our customers are happy with our containers’ orchestration. Now about Virtual Private Cloud. What exactly you can sell to end customers and where are the new markets? In the image you can see a cloud with 3 regions. 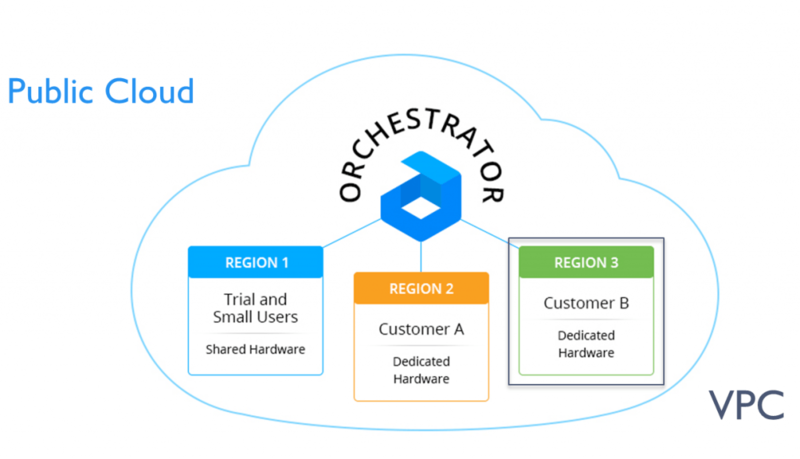 One region is for small, trial/beta users – you can put them all into a shared cloud, like shared hardware. And big customers, they are looking for dedicated clouds. And you can provide a dedicated cluster specifically for one customer. And you can create one region and then another region for for another customer. Because big customers will not be willing to put their solution inside a shared hardware region. Each region is a separate Virtual Private Cloud, and you can use a single orchestration platform to manage all of these regions. 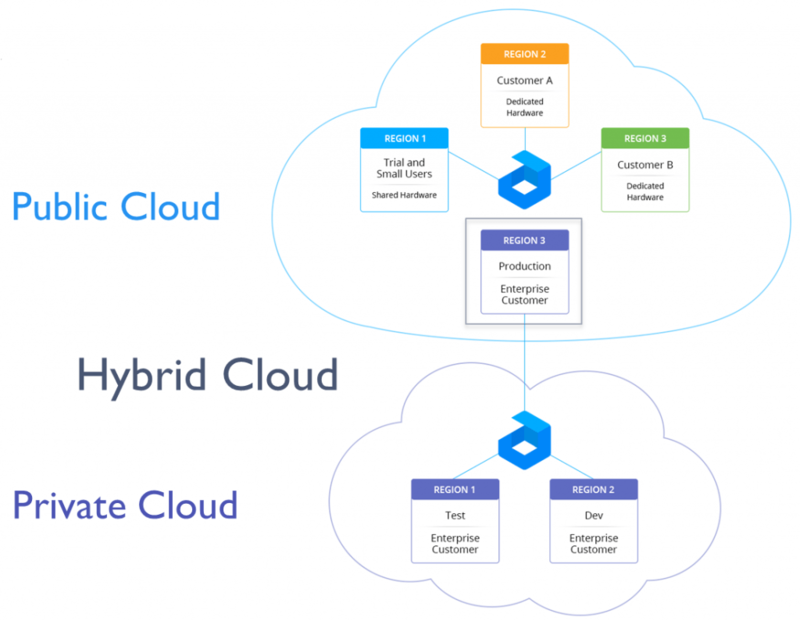 Hybrid Virtual Private Cloud – what does it mean? Just imagine that you have enterprise customers, that have sensitive data, they don’t want to put their data into your public cloud, but they can install Jelastic on top of their hardware on premise, and they can use your region from your data center and burst to your data center when they need more resources, or to do some kind of testing, or to create some kind of backup solution. This is Hybrid Virtual Private Cloud. 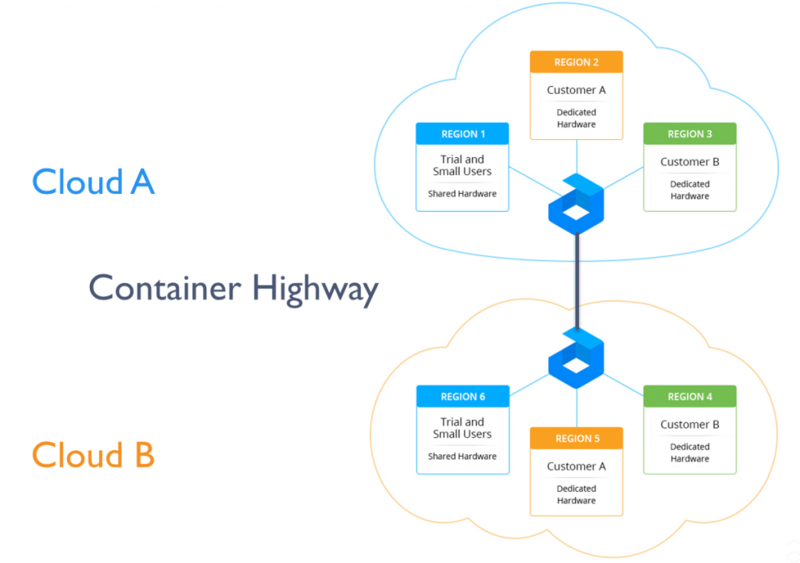 Imagine you have several data centers where you can install Jelastic and provide services for enterprise customers, ensuring high availability across data centers because you can build a container highway between them. For example – big projects and companies, like Liquid Robotics (the father of Java, James Gosling is the CTO of this project). They were looking for a solution with multi continent high availability, because they manage robots, so if they lose their connection to a data center, they will lose their robots. Enterprises, like systems integrators, telcos, industrial companies, banks, retail companies. DevOps and Developer teams – ISV’s, outsourcing teams, software development agencies, gambling, IT and consulting services. Some of our partners are working with government organizations as well. They provide services for educational institutions, health-care, for financial IT departments and others. As you can see, it is a new solution for enterprises. Before enterprises were just buying dedicated hardware, now you can combine hardware together with software and provide cloud-in-a-box for DevOps enterprise teams.